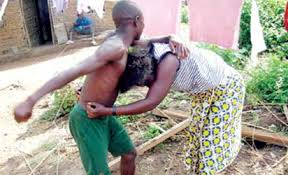 I have read about many victims of domestic violence, seen photos of bruised women and heard of the psychological effects it has on the personalities of these victims. The fear it creates in their minds and in extreme circumstances, the death of such victims. Domestic violence is a monster; it is wrong and should be prohibited by all means. It’s common to hear friends and family members asking one to endure and bear with it or better yet pray that the husband turns a new leaf and begins to see his wife as a partner rather than a punching bag. Let’s not forget wives who also beat their husbands, though they are a minority. In family courts today, domestic violence is one of the many grounds upon which spouses seek dissolution of their marriages. This law is most welcome by advocates against domestic violence and a relief to victims who must now be informed that there is a law to check their plight. The law further states that an attempt to commit the act of spousal battery also attracts imprisonment not exceeding 1 year or a fine not exceeding N100,000 or both. Inciting another to commit the offence also attracts a jail term not exceeding 2 years or a fine not exceeding N200, 000 or both. Same goes for an accessory after the fact who aids another who has committed an act of spousal battery. Though, this legislation is a step in the right direction, spouses need to be informed and most especially supported. The fear of public opinion and also the protection of the children or family name may prevent victims of domestic violence from speaking out while they suffer in silence. Such people must understand that there is no need for shame, rather they should hold their heads up high for they are survivors, it’s the wrestler of a spouse that should be ashamed. P:S – If you beat your spouse or know anyone who is a victim of domestic violence, share this link with them and support them, you could be saving their lives.